Thanks for following my blog posts. It’s been so busy these past few weeks, with a wedding to plan, meeting new venues and suppliers and so much more in the pipeline. Make sure to keep following the blog to stay posted! I would like to say a very big thank you to all the suppliers and venues who have added a link to the website and also agreed commission levels which in turn will be passed on to our clients. 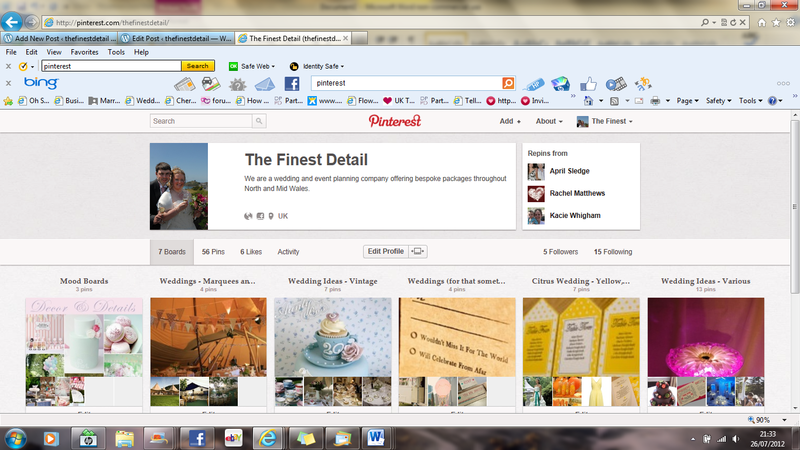 In the meantime, I’ve been getting to grips with Pinterest, a super little widget which allows you to select pictures from online or your own files and make mood boards, giving you lots of ideas to plan that perfect party or your big day :-) Take a peek and let me know what you think.